This story would quickly unravel and wilt in the hands of a lesser talent. 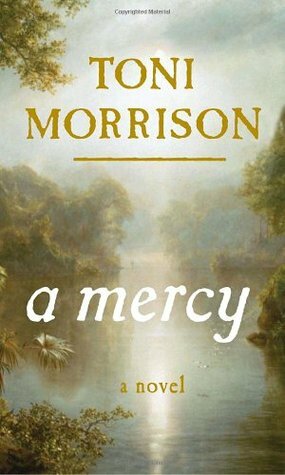 But Morrison ably weaves numerous lives, destinations and destinies into a novel both gripping and searing. Caveats: 1) The plot isn't always to easy to follow and the story sags in places. This is largely due to the use of multiple narrators whose identity is not always clearly identified. The reader is left to figure out who's narrating via style, perspective, and verbiage (Barbados, sugar, and rum, etc.). Not impossible and perhaps a clever literary device. But additional clarity on this score wouldn't hurt. 2) The author's overt hostility to Anabaptists and "Papists" is curious and redundant to the point of tiresome. A worthy - but not necessarily easy -read. Sign into Goodreads to see if any of your friends have read A Mercy.